Easy Homemade Honey Nut Granola Makes A Great Breakfast Or Snack! 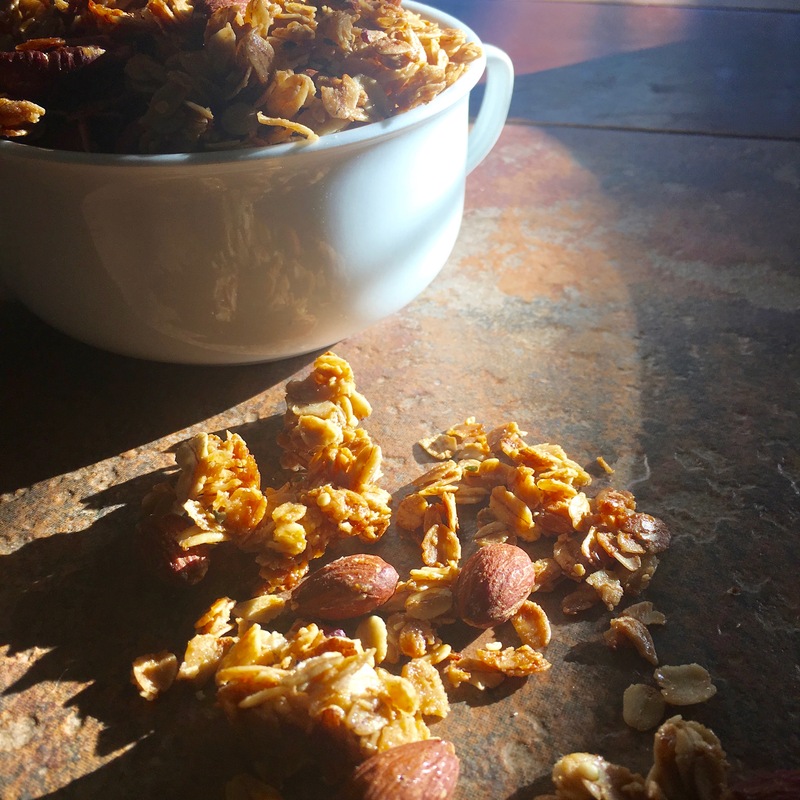 Celebrate National Granola Day with Honey Nut Granola! Granola is one of the easiest recipes you can make. 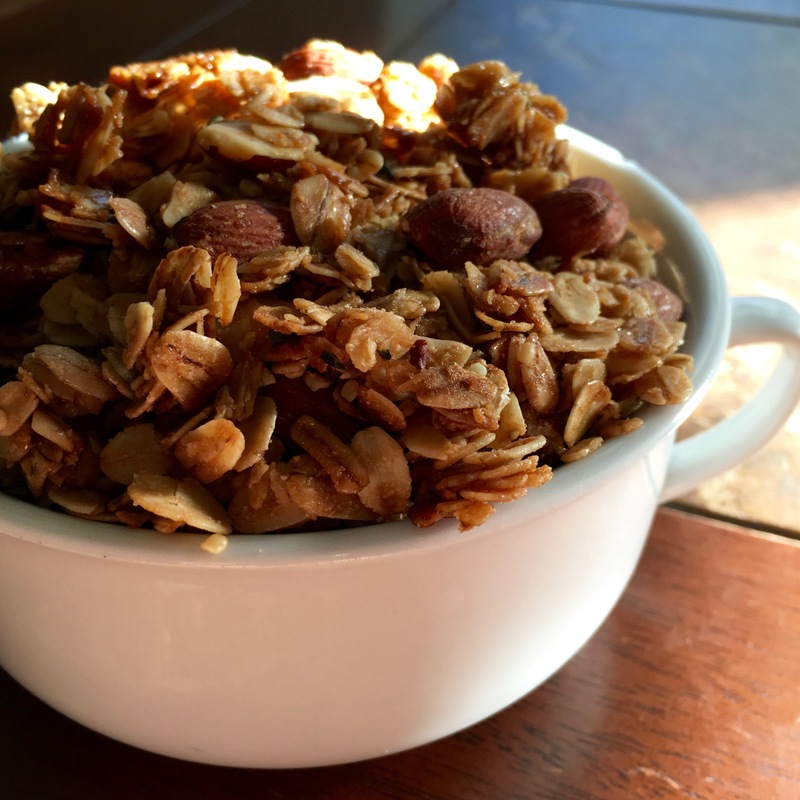 This Honey Nut Granola only has 7 ingredients and makes for a healthy breakfast or snack. 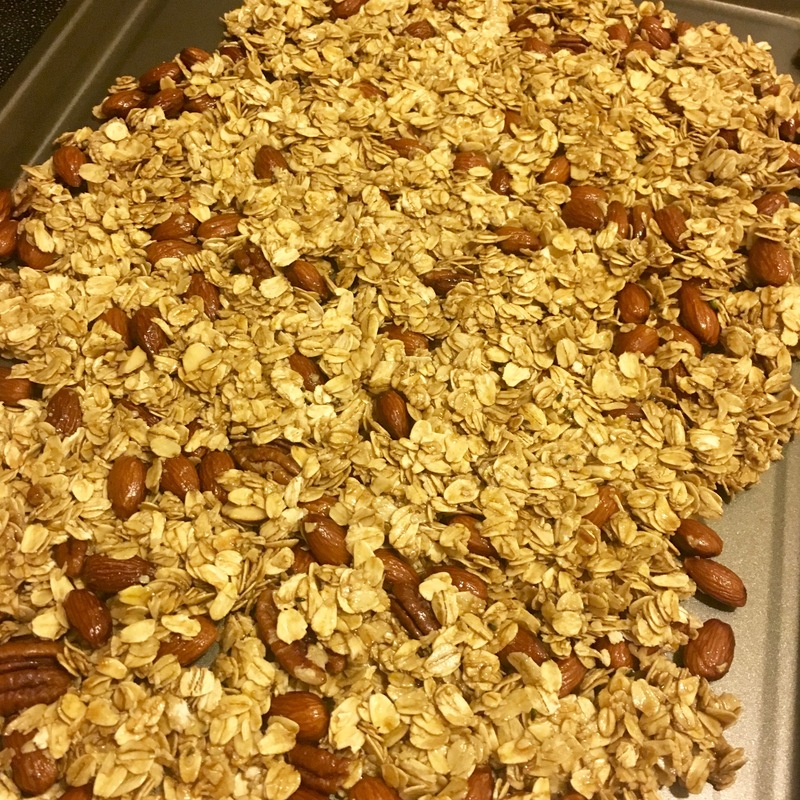 Making your own granola is a great way to save money. 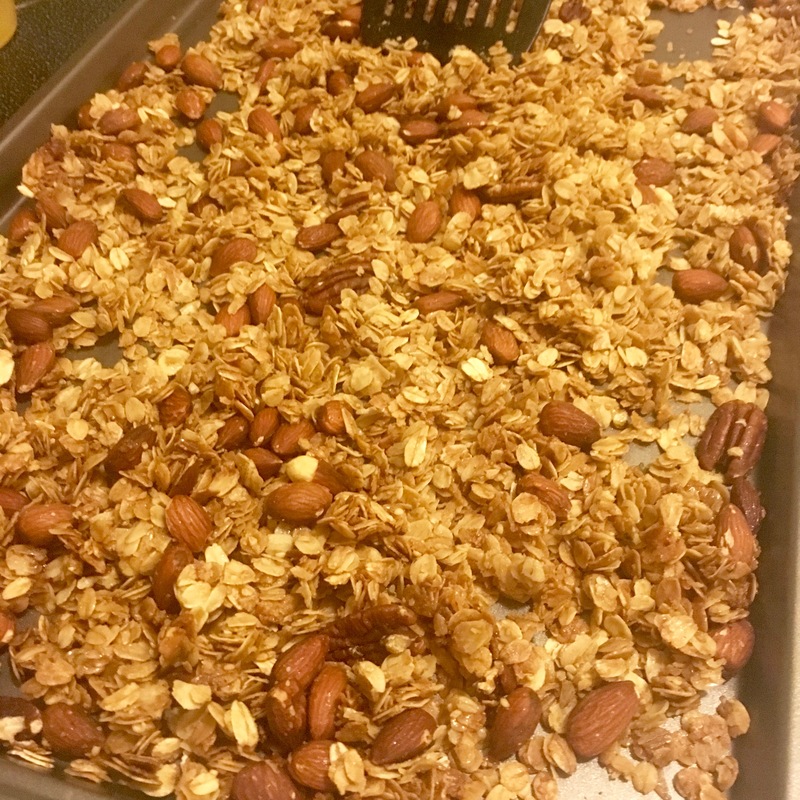 Homemade granola is a blank canvas for you to pick and choose your favorite flavors and mix-ins. This time I chose a Honey Nut Granola, inspired to my recent trip down the cereal aisle and a purchase of Honey Nut Cheerios. Recently I have been trying to gain weight – I know poor me, right? 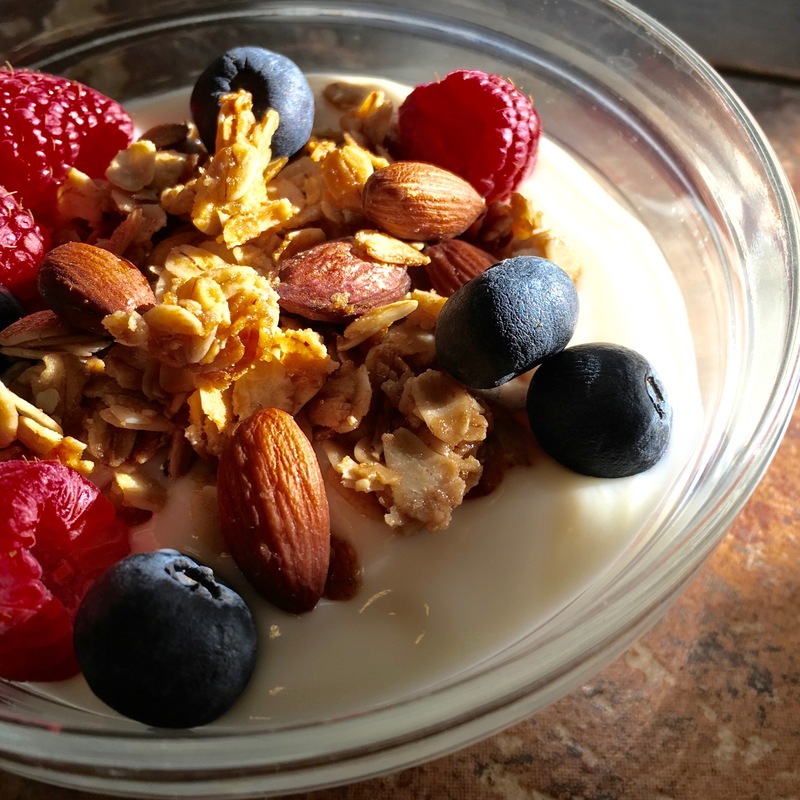 This granola is great for that for me because of the added protein from the nuts and the fiber. I eat this granola with yogurt in addition to other meals. But, if you are trying to lose weight, this is a great recipe too. 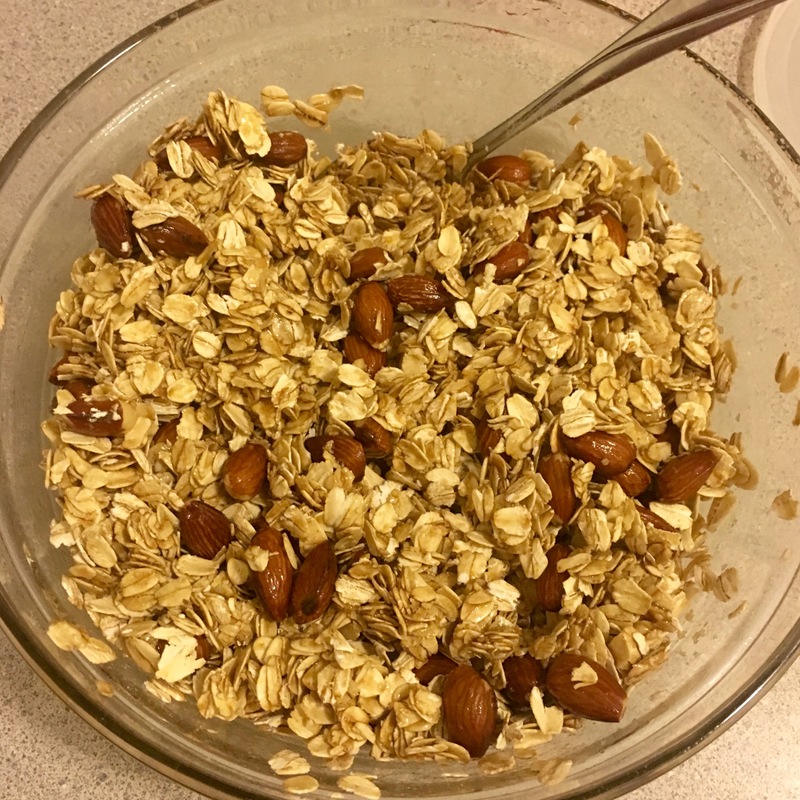 The almonds and oats will keep you full without a lot of calories, making you eat a little less at dinner. Alright, enough about nutrition, I’ll leave that for D.J. Back to Honey Nut Granola. Granola is very versatile and doesn’t always need to be just for the breakfast table. Mix in some dried fruit and eat it like a trail mix, or package it up in nice jars tied with ribbon as a gift. This recipe calls for butter, but you can very easily substitute the butter for coconut oil, or whatever type of oil you choose. I like to buy my almonds and oats in bulk. You’ll save a heck of a lot more money than purchasing your oats and nuts at the grocery store. Make sure to use rolled oats for this and NOT the quick-cooking kind. The quick-cook oats will be mushy. You’re probably going to want to make a double batch of this to keep around the house because after that first taste you’ll want to keep on snacking! 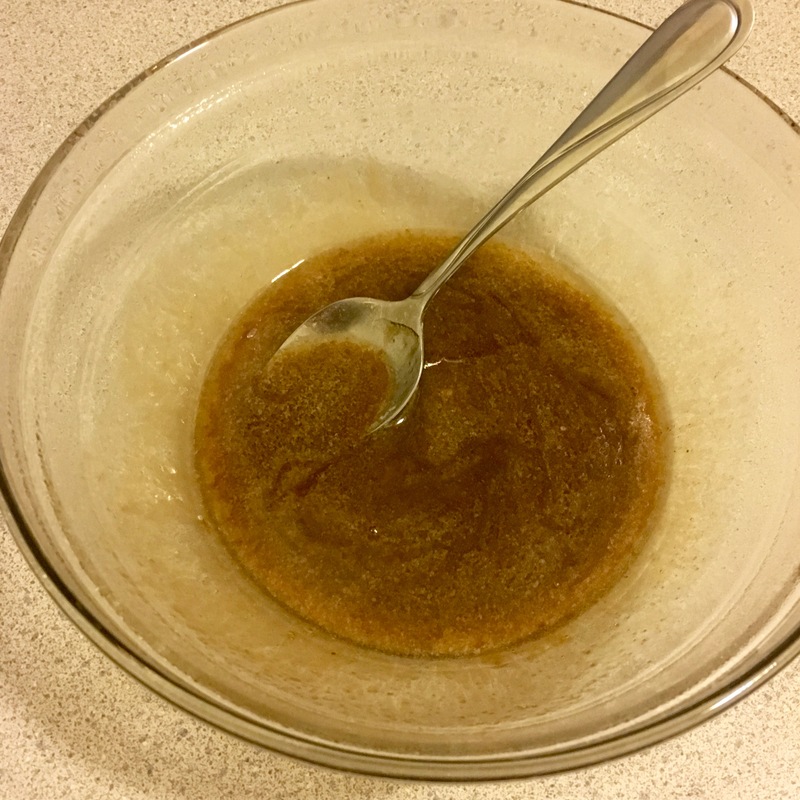 In a microwave safe bowl, melt butter, brown sugar, honey, salt and vanilla extract. With a wooden spoon or a silicone spatula, stir in oats and almonds until fully coated in the honey butter mixture. Pour granola on to a cookie sheet and gently press into an even layer. Bake for 30 minutes, stirring oats every 10 minutes. Remove from heat, let cool and enjoy! *This granola will last about 3 weeks – if it makes it that long, in a Ziplock bag. 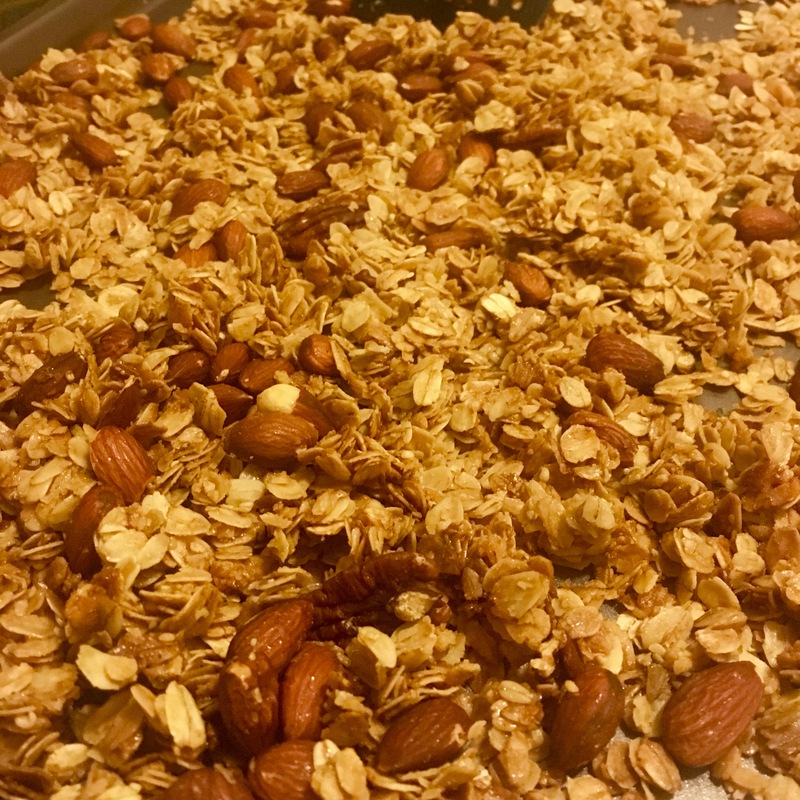 If you love granola, try this Banana Bread Granola!